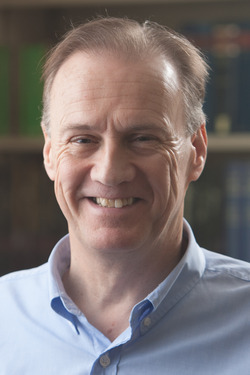 In the summer of 2016 the subject of the Trinity was brought to the forefront on MortificationofSpin.org, particularly through blog posts by Liam Goligher and Carl Trueman. 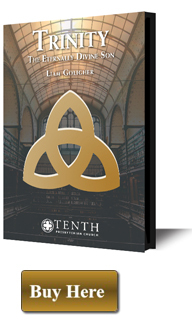 The discussion went viral across the evangelical blogosphere throughout 2016, bringing the doctrine of the Trinity to national attention. In response, Dr. Goligher preached a series of sermons on the Trinity from Hebrews. This doctrine is not easy to understand or to preach. Yet the Trinity is the most foundational of all Christian beliefs, because it speaks of the God we worship as he revealed himself to finite minds. These sermons are now available on CD and MP3 at ReformedResources.org thanks to a partnership between the Alliance of Confessing Evangelicals and Tenth Presbyterian Church. 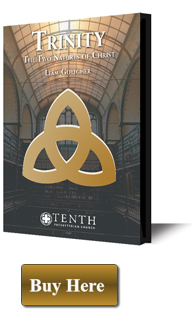 The TRINITY series is ideal for devotional study. 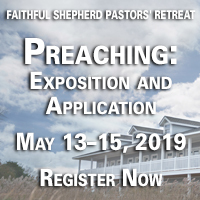 False teaching has crept deep inside the walls of evangelicalism. We are called to pick up a debate that has lain dormant for 1600 years. Shrouded in the mists of history, couched in Trinitarian language almost too abstract for us to comprehend. Liam Goligher has been training his congregation for this battle raging nationwide. They have been tough sermons to follow. Listening to them several times, one still finds new angles, new insights into the shape of the battle; new understandings of the implications for every aspect of our faith. Available from ReformedResources.org on CD or as mp3 on CD or mp3 downloads. If Christians confuse what is true of Jesus Christ as a human being with what is true of the Eternally Divine Son, they make very serious errors indeed. The most obvious is to conﬂate the exaltation of the Son of God from all eternity with the welcome given by the Father to the God-Man Christ Jesus, who redeemed God’s elect through a sacrificial death. So, in these great teachings, a course correction is long overdue. We must adore Jesus Christ our Lord, both fully Son of Man and fully Son of God. Because of your prayers and financial support, No Falling Word provides teaching that stands against the tide of culture. Bible teacher Liam Goligher's preaching does this from the pulpit, and does the same by radio. It is teaching that feeds and refreshes the spirit across our land and around the world. Your tax-deductible gift keeps No Falling Word on the air – allowing tens of thousands to hear God's Word and to respond. Please consider making a donation. Liam is a native of Scotland and earned his D. Min. at Reformed Theological Seminary in Jackson, MS. He was minister of churches in Northern Ireland, Canada, Scotland, and in the Richmond area of London before becoming senior minister of Tenth Presbyterian Church in Philadelphia, PA, in 2011. Dr. Goligher has served on the boards of many Christian ministries and was for many years a Trustee of the Keswick Convention Trust in the UK. He has authored several books and contributed to many others. He and his wife Christine are blessed with three daughters, two sons, and numerous grandchildren.